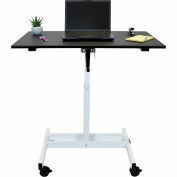 Quickly deliver collaborative and productive comfort to your workday by seamlessly alternating between sitting and standing with the Luxor 48" Pneumatic Adjustable Height Standing Desk. 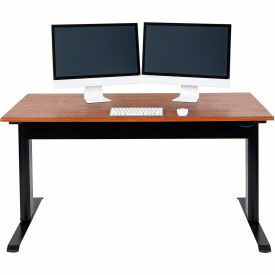 Its lever-activated pneumatic air cylinder lets you easily alter the desk's height between 27.5" and 44.5", smoothly lifting your monitors, computer and other office accessories. 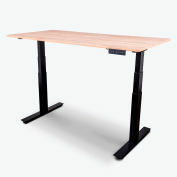 With two sturdy steel legs, reinforced inner legs and a high-quality laminate finish, this stand-up desk is built to last. 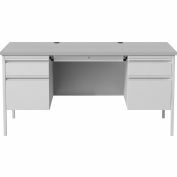 With no power outlets required for use, it's perfect for any corporate or home office space.